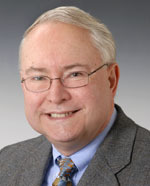 Gerald F. Dudding, JD., PhD. Albany Law School of Union University, Albany, NY: J.D. Technology Areas: Biotechnology; Chemical Engineering; Chemistry; Environmental Technologies; Food Processing; Innovative Tools and Sports Related Inventions; Pest Control in Agriculture; and Pharmacology. Patent Prosecution: In the fields of pharmacology, biotechnology, food processing, pest control, agriculture, organic and silicone chemistry. Technical Focus Areas: transdermal drug delivery, pegylation of cells to provide resistance to viral infections, aseptic processing of instant food, animal repellants, lithography for VLSI, and organic or silicone chemistry. Held supervisory and individual contributor positions on projects involving data analysis and the development/implementation of plans to solve product quality problems. G. F. Dudding et al., Process Gas Chromatograph and Sparger Combine to Monitor for Trace Organics, Chem. Proc., April (1988). G. F. Dudding et al., Capillary GC/FID and G/MS Determination of Ethyldichlorosilane in Methylchlorosilanes, J. Chromatogr. Sci., 18, 670 (1980). G. F. Dudding et al., Intramolecular Pericyclic Reactions of Acetylenes, 7. Concertedness of Acetylenic Retro-ene Reactions. The Preparation of Optically Active Phenylallene-3-d, J. Am Chem. Soc., 99, 7390, 1977.